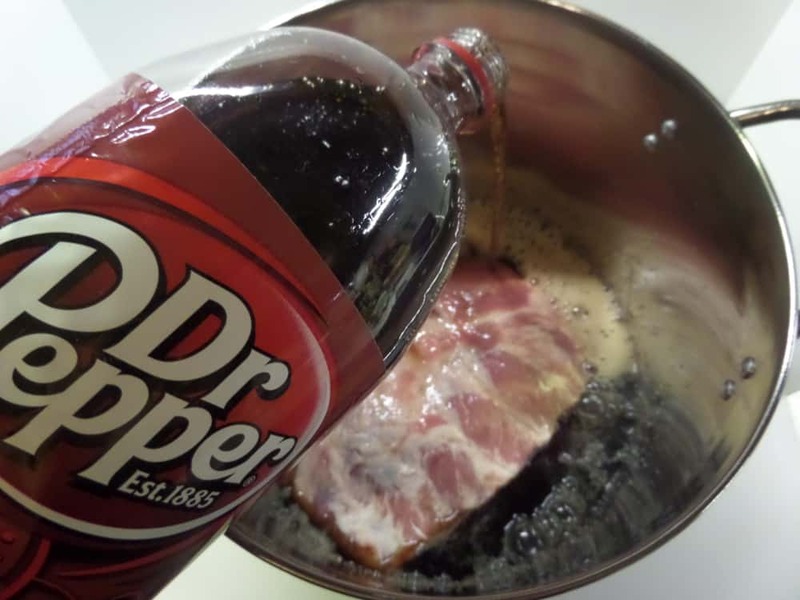 I’ve seen a ton of Dr. Pepper and cola bbq recipes floating around for quite some time now. Honestly, I wasn’t the least bit interested in trying any of them out anytime soon. My husband, however, had other plans. 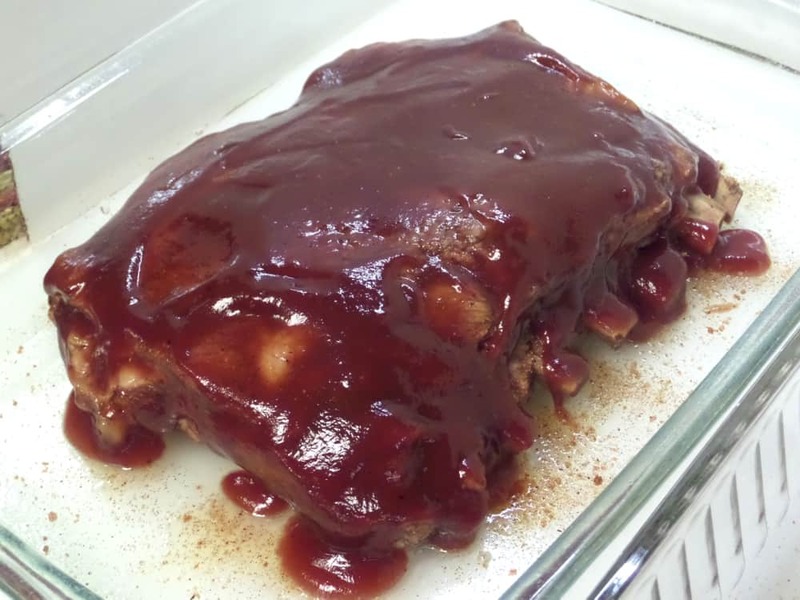 He found a recipe for Dr. Pepper ribs “he wanted to make”. He bought ribs, the soda and said “let’s make them Sunday”. Lol…guess who ended up making ribs that Sunday. Now there are a ton of different type of recipes, the one my hubby chose involved boiling the ribs in a stockpot with the soda. Some people freak out about the thought of boiling ribs – they need to live a little and lighten up. Though boiling ribs before baking is not my usual method, I have had them this way before. A good friend of mine who hails from New Orleans swears by this method. He would fill a stockpot generously with all the goodies he had on hand – his favorite herbs and spices, onions, garlic, an array of peppers, tomatoes, a bit of vinegar and top with water. He’d “boil” or simmer them until tender. When tender, he would finish them off in the oven or the grill with his favorite barbecue sauce. Guess what – they were freaking unbelievably delicious every single time! So back to the Dr. Pepper ribs. The recipe is easy enough. Prep ribs and place in a large stockpot. 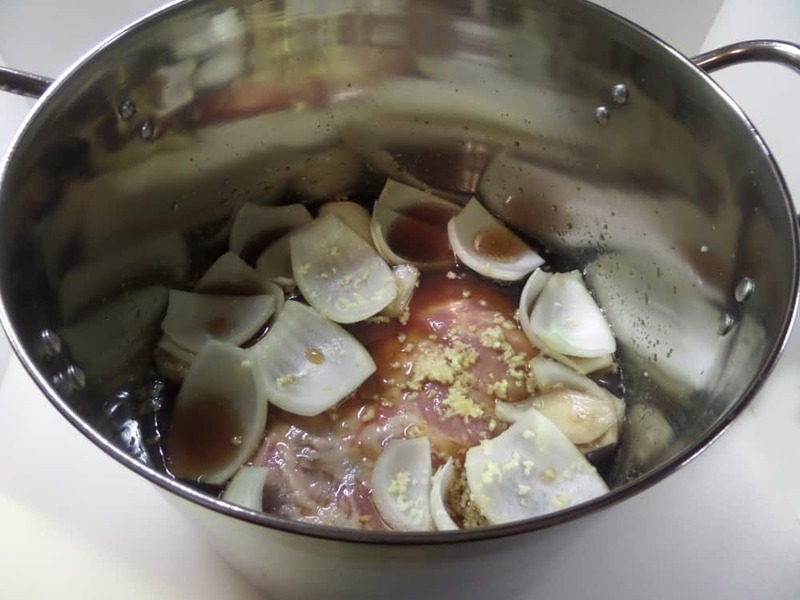 Pour in a 2 liter bottle of soda, add a quartered onion, a few cloves of garlic and some liquid smoke. Simmer until tender. Simple, right? Your ribs should be tender in about an 1 1/2 – 2 hours. Next step is to cover with your favorite barbecue sauce and bake for 30-45 minutes. Hmmm. I tasted the ribs at this point and felt they were just a bit bland. Not bad – just needed a little more “something-something” for my family’s tastes. 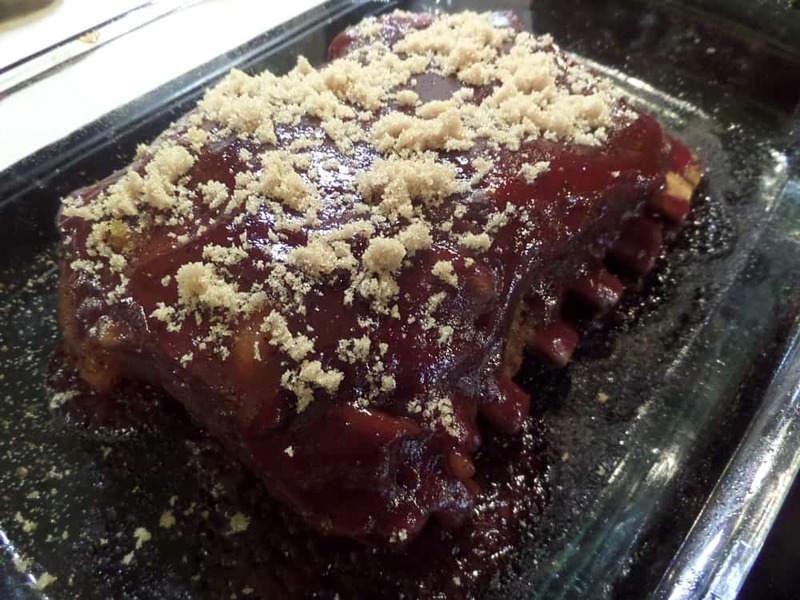 I seasoned them up with my favorite rib seasonings, drenched them in barbecue sauce and threw them in the oven. After half an hour they looked and smelled wonderful. I sprinkled a few pinches of brown sugar on top of the ribs and broiled for about 5 minutes. My husband loved them. I thought they were good – they were tender and flavorful – just as a rib should be. This was an easy, stress free recipe. 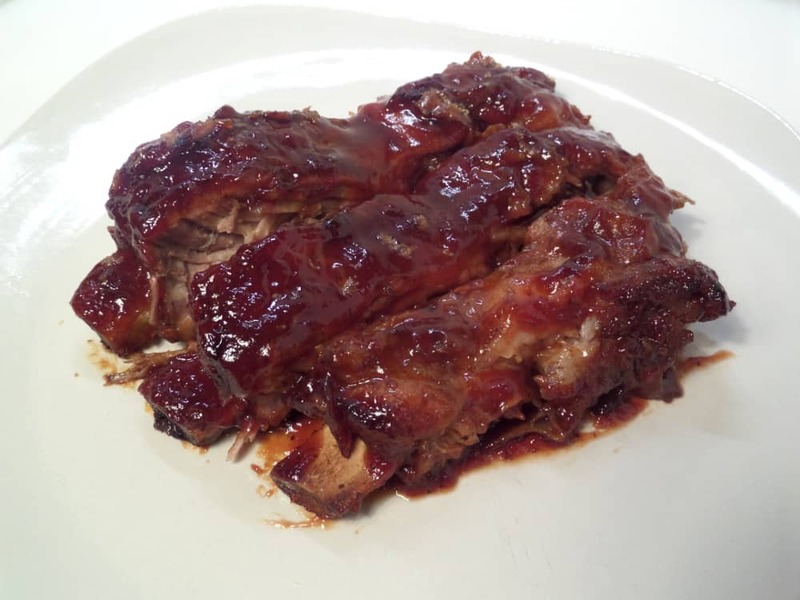 This recipe would be wonderful for anyone who is not familiar or confident with cooking ribs. It’s foolproof and will result in great ribs every time. This would even be a change of pace for the seasoned bbq vet who wants to try out something new. Give it a try and see what you think. Who knows – this could become your new favorite! There are 161 reviews on this recipe and from what I see people have been raving about it for over 10 years. 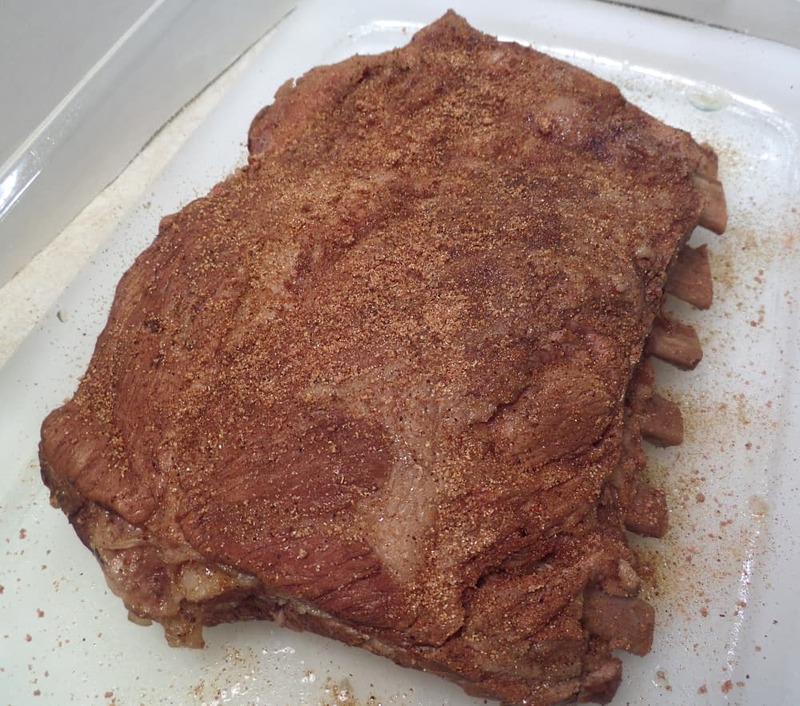 I did enjoy trying this recipe but will stick to my spice rubs and low and slow oven method. I’d love to hear your thoughts! Recipe from JoAnn at www.food.com – thanks for sharing! 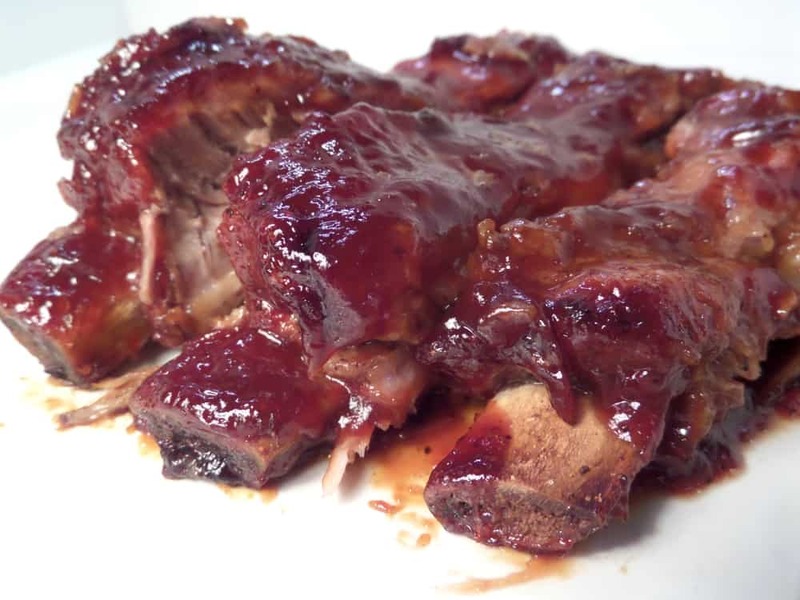 Tender and flavorful pork bbq ribs made with Dr. Pepper soda. Simple to make, definitely worth trying! 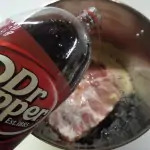 Place ribs in large stockpot and pour entire bottle of Dr. Pepper over ribs to cover. Add garlic, liquid smoke and onion. Bring to a boil, lower to simmer and cook until ribs are tender - approx 1 1/2 - 2 hours should do it. 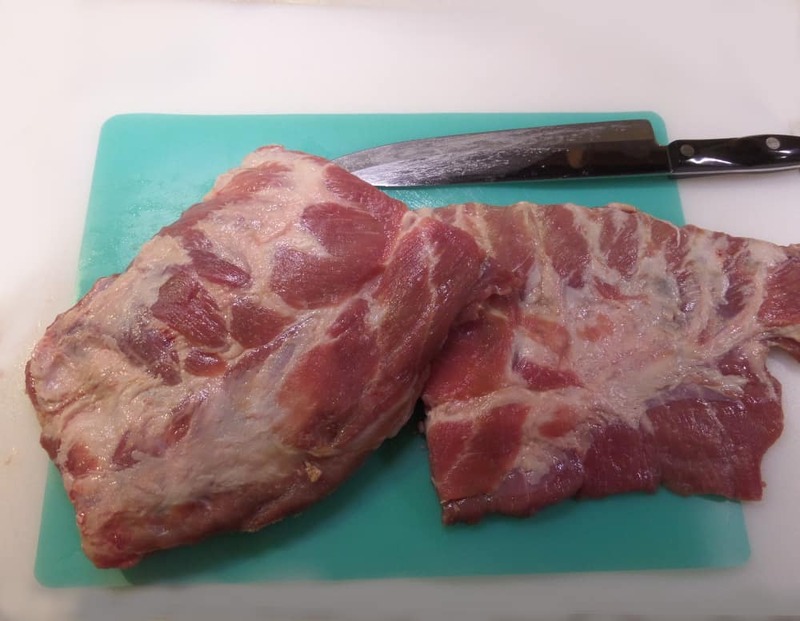 Place ribs in baking pan. Season (optional) Pour desired amount of BBQ sauce over ribs. Don't skimp on the BBQ sauce. Alternately, you can finish the ribs off on the BBQ grill. Asking me when I am going to make those again!! Hi Anna! So glad everyone enjoyed the ribs!